Like many conservatives, including high-ranking Republican lawmakers, I’m being discriminated against and censored by social media networks. It’s no secret Twitter and Facebook — run by left-wing activists who despise President Trump and conservative values — are abusing their power and stifling conservative voices. Not only is that un-American, it’s also a gross violation of Americans’ constitutional right to free speech. The silencing of conservatives online, where most voters get their news, rigs our electoral system by giving Democrats an unfair advantage to reach millions of voters and shape public opinion, affecting elections, while scores of conservatives are muted. 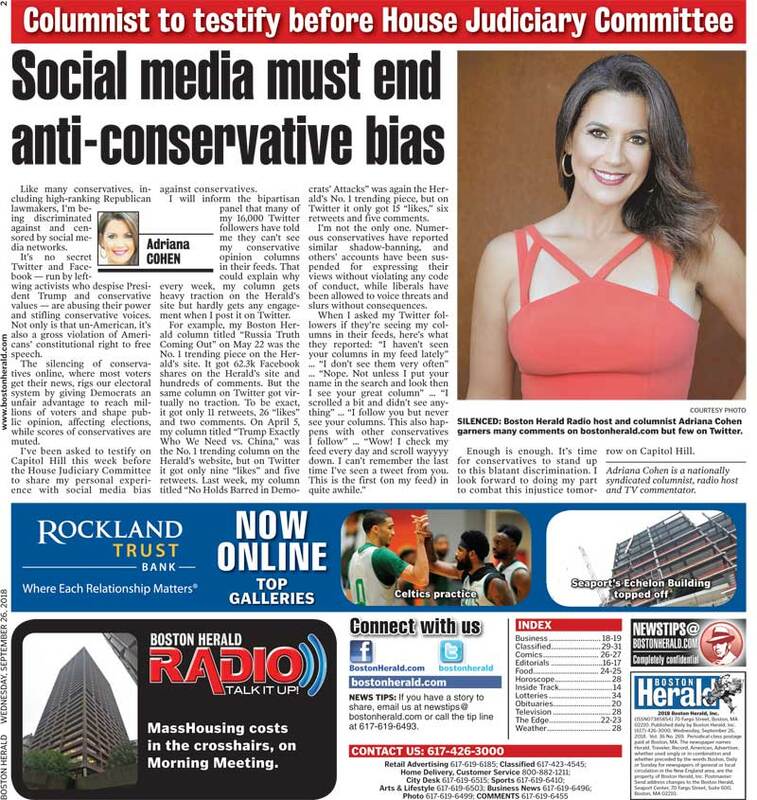 I’ve been asked to testify on Capitol Hill this week before the House Judiciary Committee to share my personal experi­ence with social media bias against conservatives. I will inform the bipartisan panel that many of my 16,000 Twitter followers have told me they can’t see my conservative opinion columns in their feeds. That could explain why every week, my column gets heavy traction on the Herald’s site but hardly gets any engagement when I post it on Twitter. 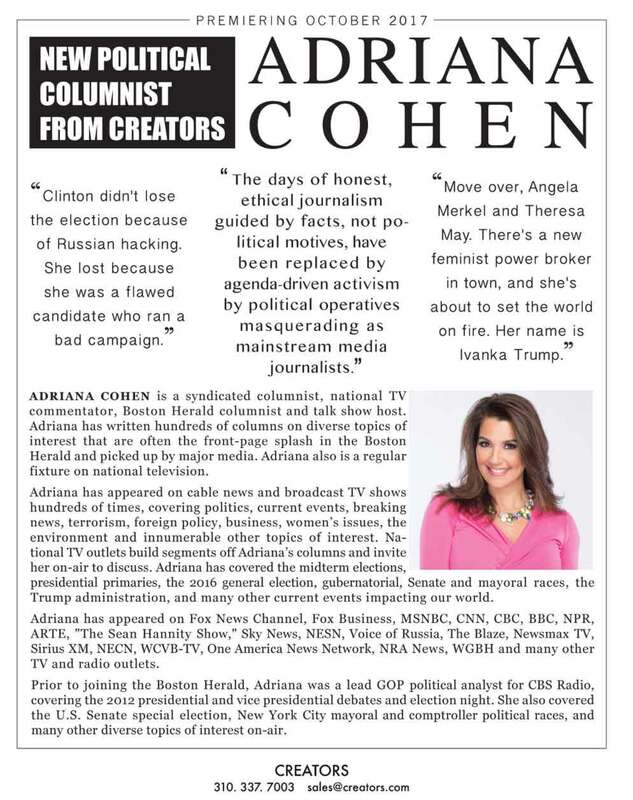 For example, my Boston Herald column titled “Russia Truth Coming Out” on May 22 was the No. 1 trending piece on the Herald’s site. It got 62.3k Facebook shares on the Herald’s site and hundreds of comments. But the same column on Twitter got virtually no traction. To be exact, it got only 11 retweets, 26 “likes” and two comments. On April 5, my column titled “Trump Exactly Who We Need vs. China,” was the No. 1 trending column on the Herald’s website, but on Twitter it got only nine “likes” and five retweets. 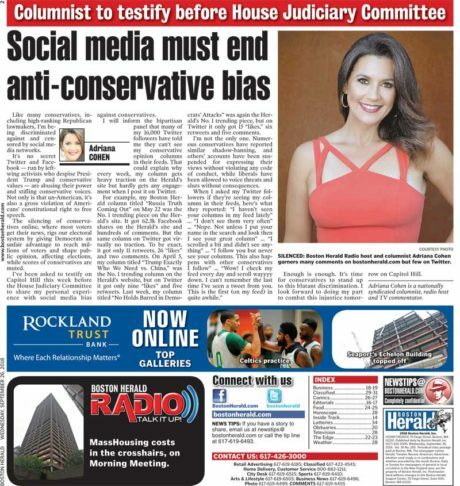 Last week, my column titled “No Holds Barred in Democrats’ Attacks” was again the Herald’s No. 1 trending piece, but on Twitter it only got 15 “likes,” six retweets and five comments. I’m not the only one. Numerous conservatives have reported similar shadow-banning, and others­’ accounts have been suspended for expressing their views without violating any code of conduct, while liberals have been allowed to voice threats and slurs without consequences. Enough is enough. It’s time for conservatives to stand up to this blatant discrimination. I look forward to doing my part to combat this injustice tomorrow on Capitol Hill.